The Globe 4 Kids is perfect for young explorers. 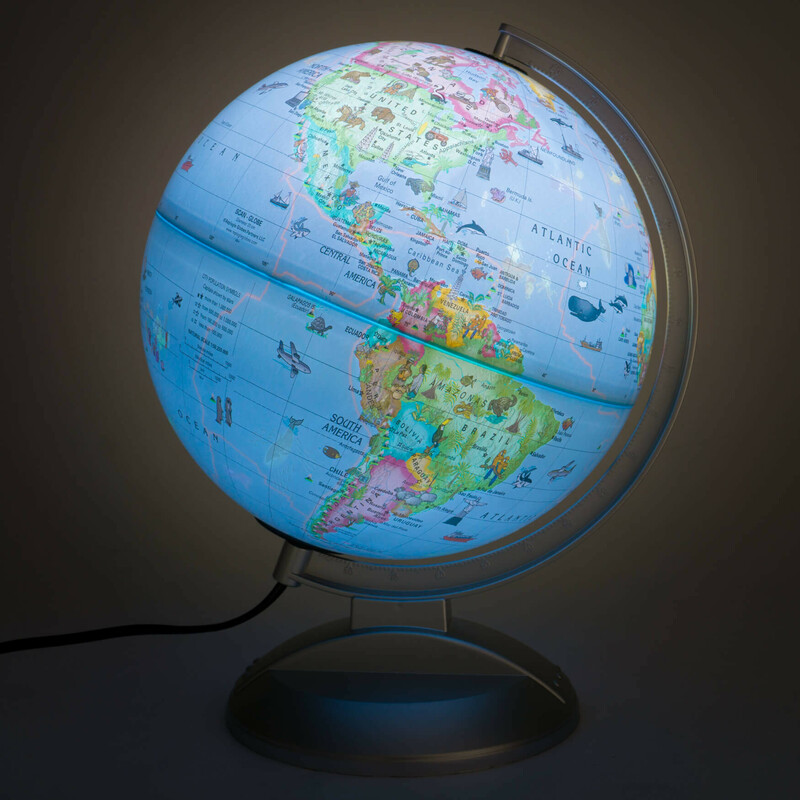 This illuminated kids globe promises to both excite and educate young children. Recommended for children between 3-7 years old (guide only). The political cartography highlights country boundaries, the names of countries as well as the major cities. The map also includes over 400 beautiful illustrations of animals, monuments, special landmarks, volcanoes and more. Your young explorer can also enjoy discovering the pyramids, orcas, and a variety of plant life and produce from many different regions. When illuminated, children can unlock the globe’s hidden secrets. When the light is turned on, as if by magic, animals, famous objects and submarines appear throughout the oceans. Another exciting feature of the Globe 4 Kids is the dual mapping, where the tectonic plates come into view when the Globe 4 Kids is illuminated, giving the globe another level of intrigue for children. 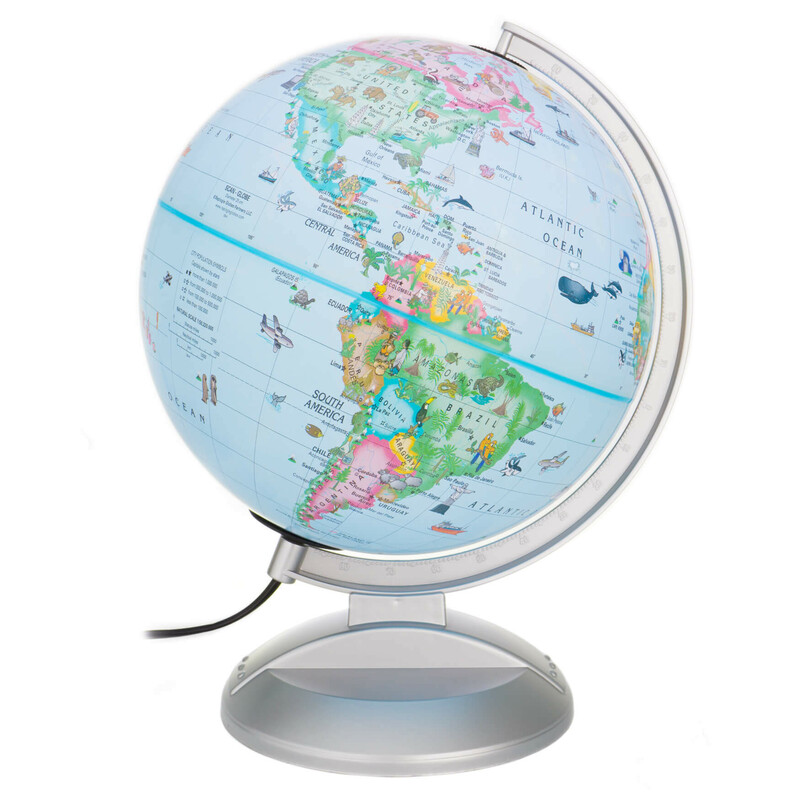 Other features include 25 cm (10") diameter globe ball on a solid plastic base with matching graduated meridian and a time dial so that time zones can be calculated. Over 400 illustrations of people and native wildlife. When the ball is lit, hidden illustrations like whales under the sea become visible. Tectonic plates become visible when illuminated. Replogle Cartography designed by K. M. Dzurny. 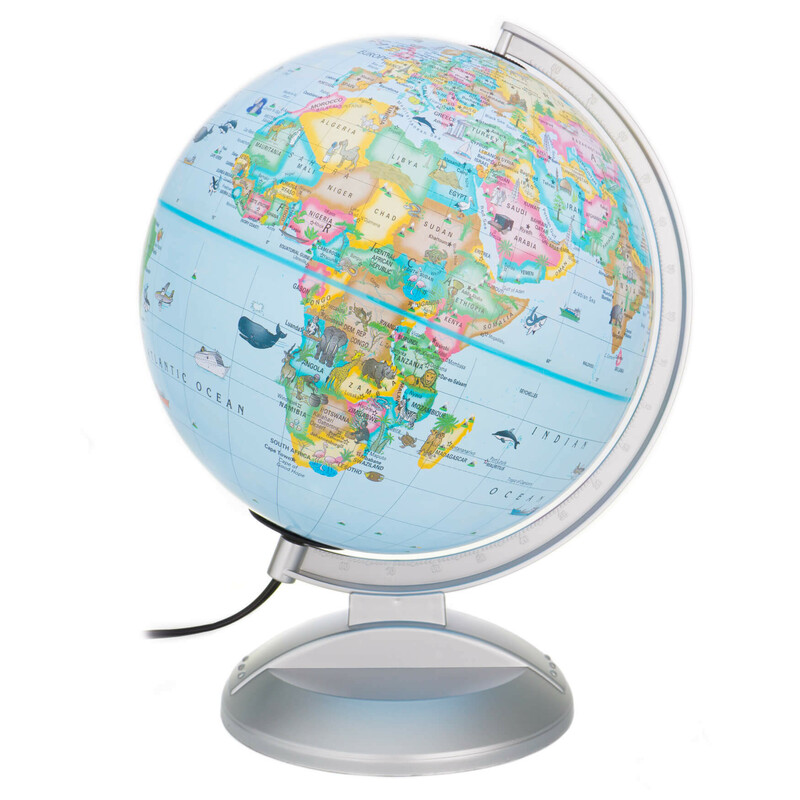 This particular globe is assembled in the heart of the United Kingdom in Corby, Northamptonshire. The Globe 4 Kids is mains powered and comes complete with a 15W SES fitting bulb that is readily available and easily replaced. You will also be provided with a leaflet on how to replace the bulb when you purchase this product. (adult supervision is required). Will prove a fun and good learning tool for my grandson. 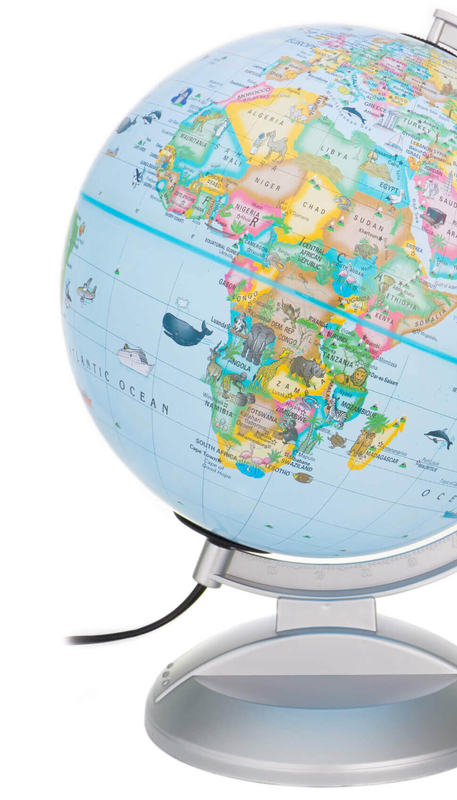 Bought this Globe for my 5 year old nephew. Christmas present for a 3 year old. Successful Present for Nephew's Baptism. EXCELLENT SERVICE - NICE PRODUCT.